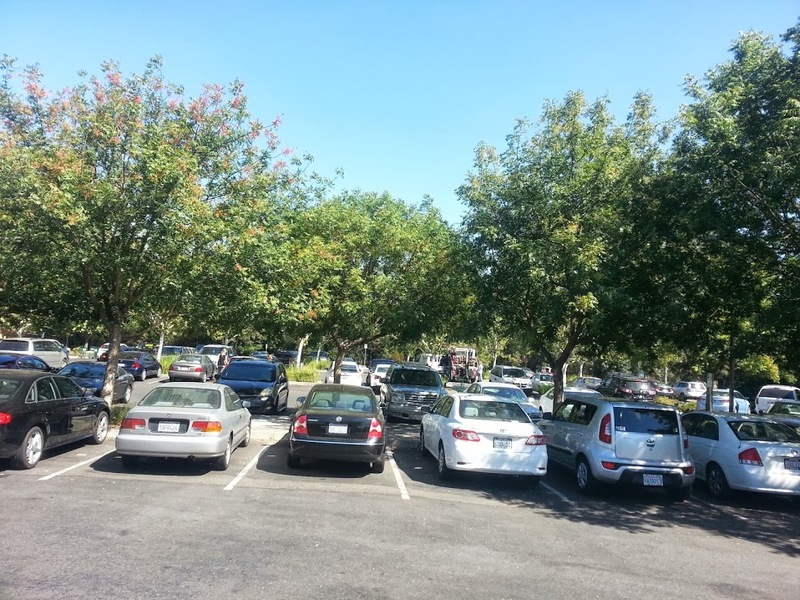 David, CA (February 13, 2014) – What are the most feasible ways to make shady parking lots a reality? Tree Davis has released a new report reviewing parking lot shade regulations for the City of Davis and other communities. 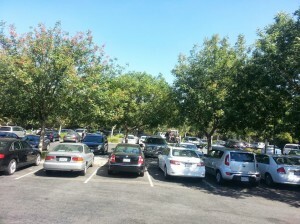 Trees in parking lots have multiple benefits including improved air and water quality, aesthetics, and property value. The report reviews the current state of parking lots in Davis and addresses challenges to creating shaded parking lots in all communities. The City of Davis has a Parking Lot Shade Ordinance (40.25.100) which requires 50% of paved parking lot areas be shaded by tree canopy within 15 years of receiving a building permit. The City of Davis was progressive in adopting this ordinance in 1977, but in practice it has been difficult to enforce. “Trees are essential infrastructure for our parking lots. They provide shade and transpiration for cooler temperatures, better air quality, and improved water quality. They also just make parking lots more attractive places to be, which is good for business.” said Keith McAleer, Executive Director of Tree Davis. The report reviews parking lot laws for thirty-eight cities throughout the US. From these case studies, several practices were identified that may help communities achieve parking lot shade in their community. The report also analyzes methods of parking lot shade surveying including monitoring in the field and remote sensing using satellite imagery. These methods were found to be time consuming and unreliable, but still may work for some communities. Overall, the report presents a variety of options that should work for many communities including points-based systems, emphasizing planting details and maintenance plans, and methods to ensure trees can stay healthy in harsh parking lot environments. This review is a follow up to earlier parking lot surveys done by Tree Davis in 2006 and 2007. These field surveys analyzed twenty-one random parking lots in Davis of which only seven were found to be in compliance (or on track for compliance) with the 50% shade rule. This report was researched and written by Jennifer Tso, recent graduate of the UC Davis Horticulture and Agronomy Master’s program, prepared in consultation with Tree Davis and the City of Davis.